Patient monitoring is one of the most important roles of health care professionals, as it promotes prompt detection of any significant changes in one’s vital signs so appropriate treatment can be done. With this, it is essential to know how patient monitoring works and how to deliver it through the appropriate equipment and accessories. A patient assessment will never be complete without accurately assessing the patient’s vital signs, as they are a determining factor in recognizing any acute change in a person’s physiology. 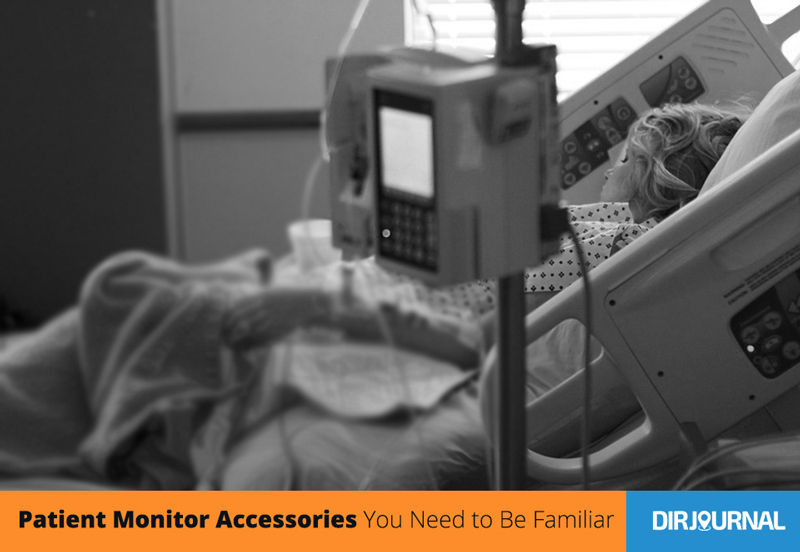 To do this, patient monitor accessories are to be used. Different patient monitoring equipment specifically caters to the eight different vital signs, which include temperature, pulse, blood pressure, respiratory rate, SpO2, pain, level of consciousness, and urine output. Learn more about such equipment and how they work. The vital signs monitor is an innovative, touch screen monitor that keeps track of continuous temperature, blood pressure and SpO2 parameters. This device is used to measure several vital signs at once, without the need to individually use a tool for a specific vital sign. Most devices feature ear thermometry, capnography, acoustic respiratory monitoring, pulse oximetry sensor, and many others. Aside from a vital signs monitor, oxygen saturation can also be measured through a SpO2 pulse oximeter. Pulse oximetry is highly important when assessing the patient’s condition, as it is able to determine changes that may have been missed. However, it is important for the nurse or healthcare practitioner to understand respiratory physiology. To make use of a pulse oximetry sensor, the patient needs to have an adequate peripheral blood flow that can be obstructed by various factors that range from patient movement to vasoconstriction. It is important to note that an SpO2 reading might be inaccurate if the patient has anemia, as a pulse oximeter cannot determine a patient’s hemoglobin level. When it comes to monitoring the patient’s blood pressure in heavy clinical settings, most nurses use automated BP devices to save time. Although they are efficient tools when it comes to blood pressure monitoring, they can increase the risk for measurement error. With this, a lot of nurses in hospitals still use the sphygmomanometer to maintain not only accurate measurement but also patient interaction and critical thinking. Upon doing so, the simultaneous use of auscultation is also encouraged for a more systematic review. If there is an SpO2 pulse oximeter, there is also the capnograph, which is a tool that is used to measure the amount of carbon dioxide present in a person’s breath. This essential patient monitoring device is essential in assessing a variety of problems in a non-invasive way, detecting potential problems in the CO2 pathway. It triggers an alarm when there is a low CO2 reading to warn the medical staff. These are just some of the many patient monitoring accessories that are important to learn, especially since they play a significant role in early disease detection and treatment. Not only is quality healthcare service essential in achieving such goal, but so is fully functional, state-of-the-art clinical technology.